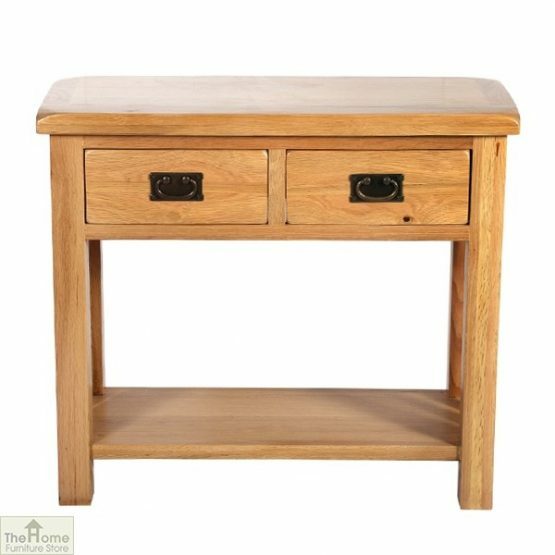 Casamoré Farmhouse 2 Drawer Console Table is a part of the Casamoré Farmhouse Collection bringing together timeless, traditional appeal, and modern practicality. 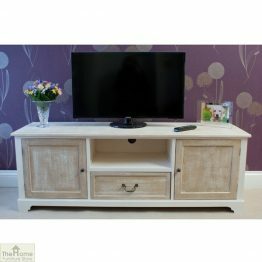 Measurements: W85 x D35 x H85cm. 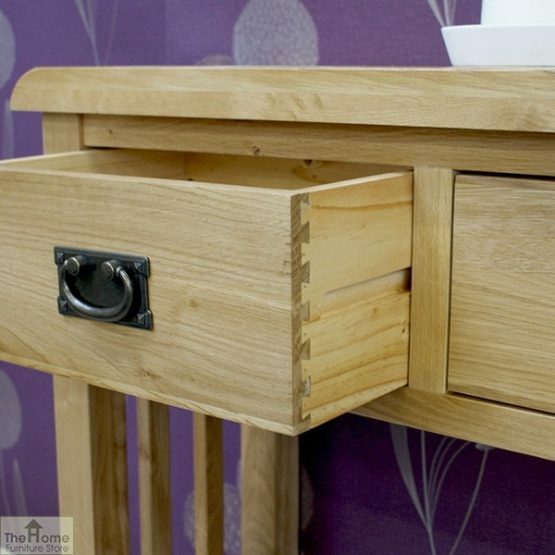 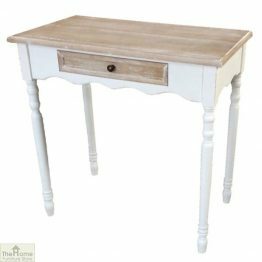 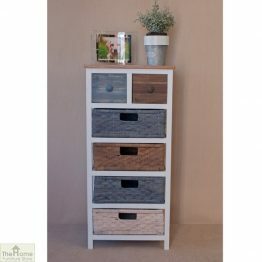 Casamoré Farmhouse 2 Drawer Console Table solves your storage dilemmas and bring your room to life. 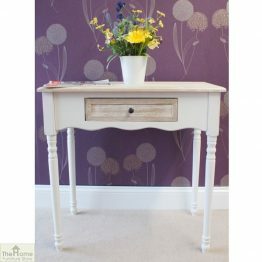 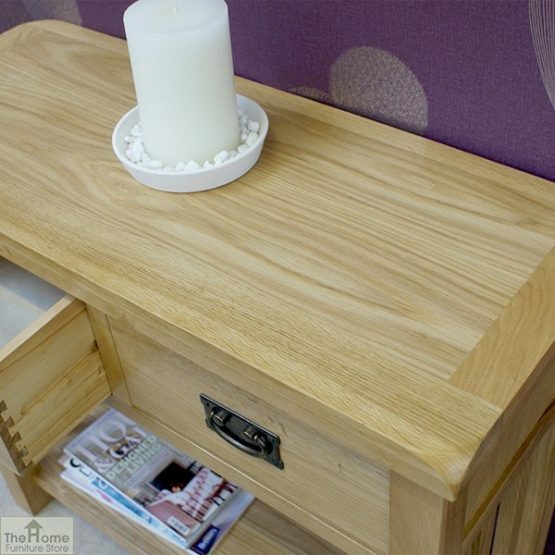 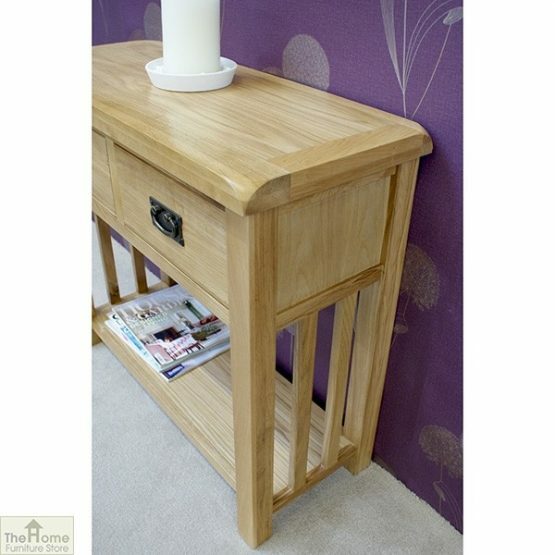 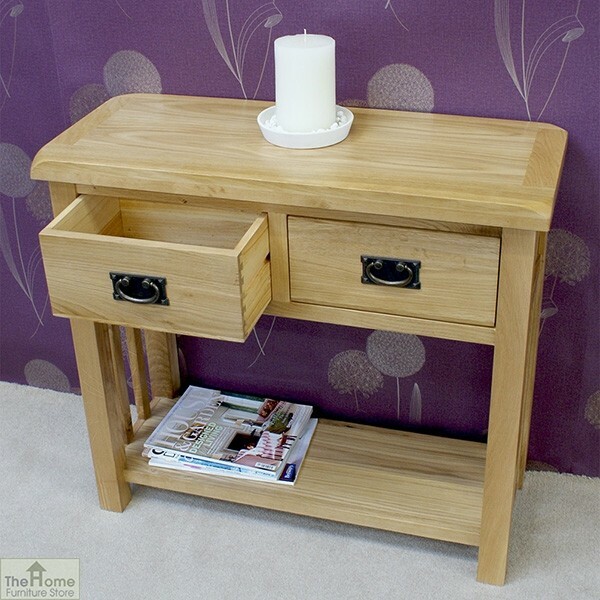 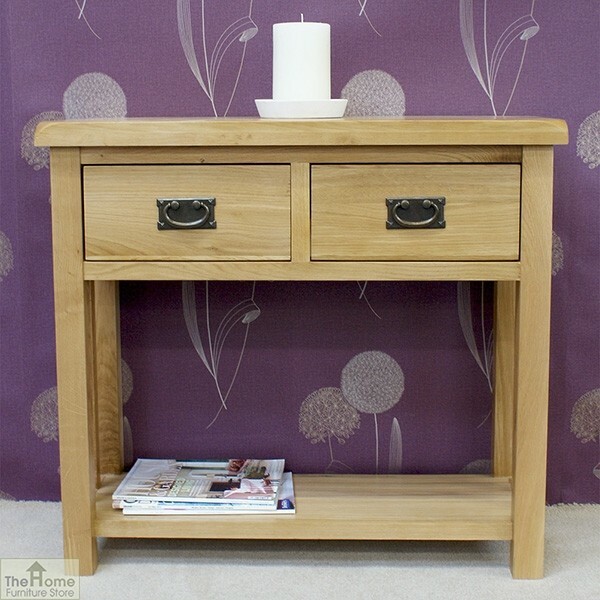 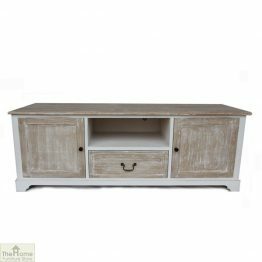 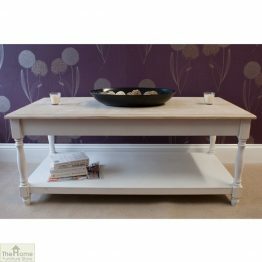 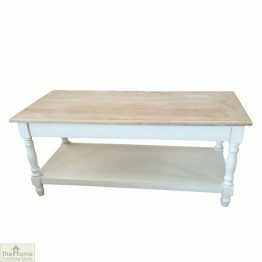 This stunning Farmhouse 2 Drawer Console Table is made with solid oak frames in a clear oil finish and oak veneer panels, making it a solid piece of furniture. 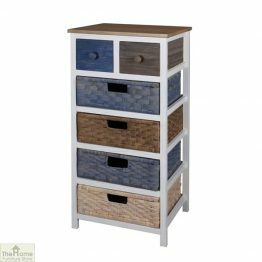 The generously sized drawers feature antique bronze bronze loop handles and provide plenty of space for all of your storage requirements. 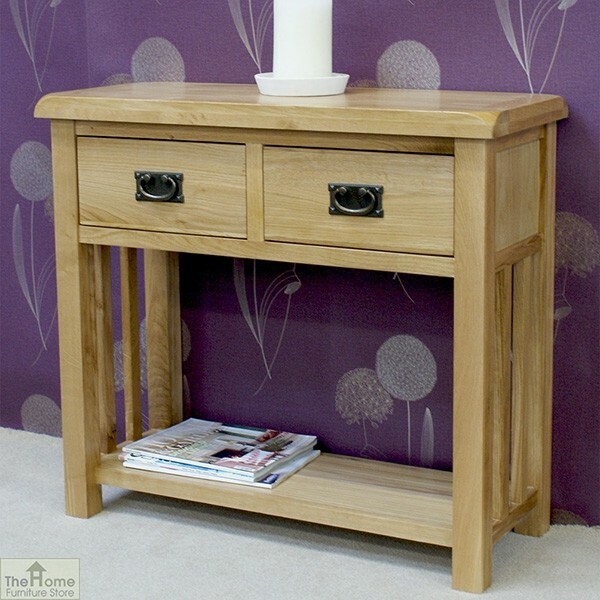 Crafted with traditional dove tail joints, this console table taps into the farmhouse aesthetic completely whilst being practical and endlessly useful.